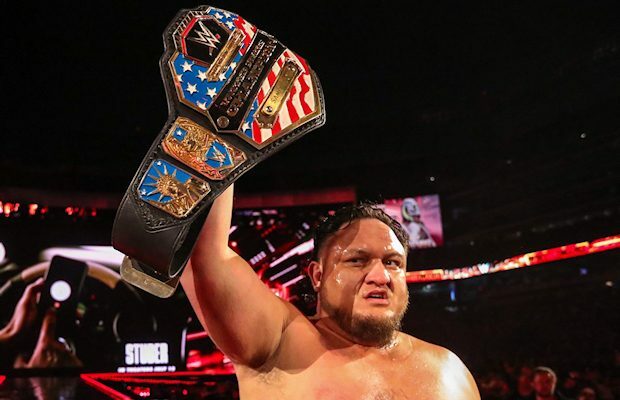 — With Finn Balor bringing the Intercontinental Championship to SmackDown LIVE as part of the Superstar Shake-up, you’re probably wondering what this means for the United States Championship held by Samoa Joe. Although Joe did not appear on Raw or SmackDown LIVE this week, he’s expected to join Raw and bring the United States Championship with him. Dave Meltzer said on Wrestling Observer Radio that Joe was backstage at Raw in Montreal, Quebec, Canada, but too sick to appear on the show. A segment where he would have joined Raw got nixed. There’s no word on how WWE will handle Joe’s transfer to Raw. — SmackDown LIVE’s first acquisition in the Superstar Shake-up was Intercontinental Champion Finn Balor and he wasted no time getting right into the mix on Team Blue by defeating Ali in a non-title match. In this post-match interview, Balor says he’s excited to join SmackDown LIVE. — Vince McMahon sent out this tweet remembering “Rowdy” Roddy Piper on what would have been his 65th birthday.